Descendent from a long line of Sages, and marked with silver irises, Shu was promised to the Baran Do from Birth. During his childhood he had become known in the districts surrounding the temple in the city of Dor’Shan, often sneaking out and getting involved in things that don’t concern him. Despite this, he was raised with great care by the Baran Do being taught their principles and philosophies and favoured among his peers. 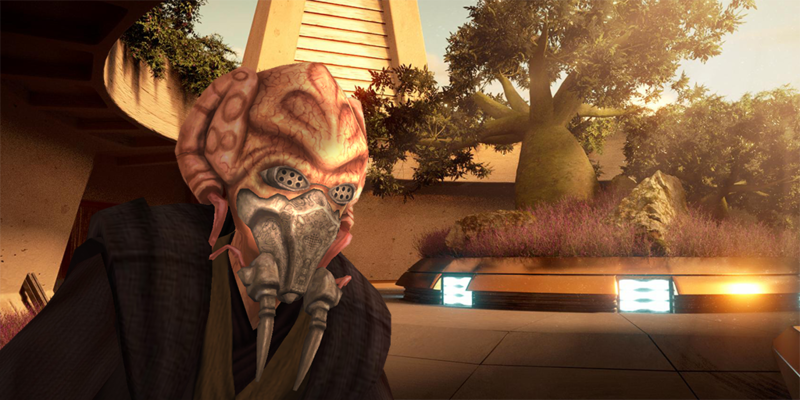 Shu’s became very disinterested with the Baran Do’s life of seclusion and dreamt of traveling to far and distant stars and planets, his opportunity to do so came when a Jedi visited the temple seeking recruits, a tradition that has preserved and strengthened the relations between the Baran Do Sages and the Jedi Order. Shu was the first to volunteer which in part encouraged others to join him. He was on a shuttle headed for the Jedi Temple on Dantooine a few cycles later, where a new life awaited him. Apprenticed to Kistra Nooram on 373.28. Knighted on 382.19 By the Dantooine Council. Transferred to Rannon on 382.23.